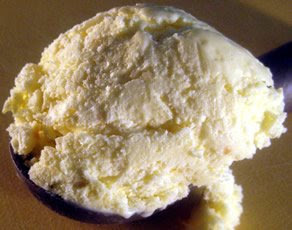 This recipe makes a custard-style ice cream, which isn’t my favorite but which the LBUH adores. Since we had leftover egg yolks, I decided to make this for him. The ginger makes this sweetly spicy, but still relatively mild. A great after dinner dessert, particularly as ginger is said to aid in digestion. As you’d expect for something made with egg yolks and heavy cream, this dish is more decadent than its is diet-friendly. But it still has lots of vitamins and minerals, some protein and calcium, and as long as you don’t scarf down the whole quart (Hey! LBUH, back away from the freezer! Leave the spoon where I can see it! ), its not entirely out of place on a website devoted in part to healthy eating. 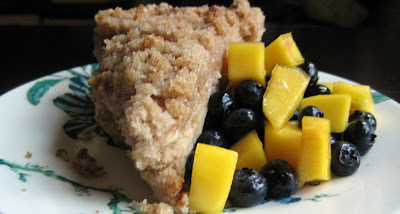 This is delicious topped with crumbled ginger snaps. Scrub the outside of the ginger thoroughly, but there's no need to peel. Slice the ginger root in half lengthwise. Rest each cut side down your cutting board for stability, then slice lengthwise into very thin long slices. Put the slices in your saucepan and add about two inches of water. 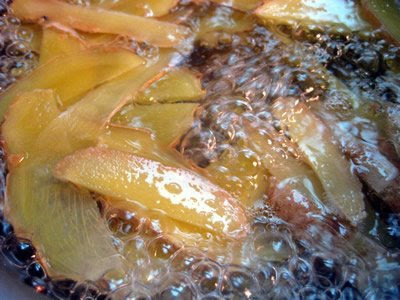 The ginger slices should be covered and have a little less than an extra inch of water to float in. Blanch the slices by bringing the water to a boil, and then continue bowling for approx. two minutes. Pour the ginger root into a colander to remove the water, and then return the ginger to the saucepan. Add the sugar, salt, milk, and half of the cream to the saucepan and reheat, being careful not to bring to a boil. When the mixture is warm, remove it from the heat and let it sit covered for at least an hour so the solution absorbs the flavor from the ginger. In a medium bowl, whisk the egg yolks together, and then slowly pour in the contents of the saucepan while continuing to whisk the eggs. Pour the mixture back into the saucepan and reheat over low to medium heat. Continuously stir with a spatula, making sure that the egg/milk solution does not stick to the sides and bottom of the saucepan. Keep stirring and scraping the sides until the mixture begins to thicken. Once the mixture is evenly coating your spatula, pour it through the mesh strainer into the large bowl containing the rest of your cream. While the bowl is in the ice bath, stir the mixture until it is cool. 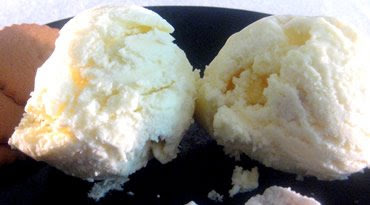 Place the mixture in your refrigerator and chill for about 1 hour, then freeze in your ice cream maker according to the manufacturer’s directions. *I filled the kitchen sink with a mixture of ice cubes and enough cold water so that the bottom half of the bowl was submerged. 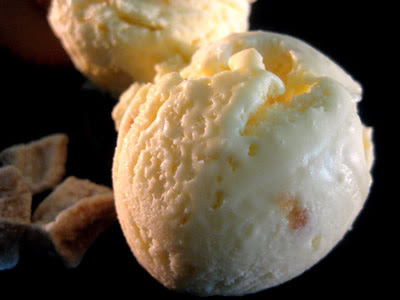 ** You can try nibbling on these while you continue to make the ice cream: the LBUH loved these, although I did not. As we’ve said before, we’re not willing to give up fish entirely until the Great Recession is at last over, but we’re not about to go splurging on wild bluefin tuna these days either. 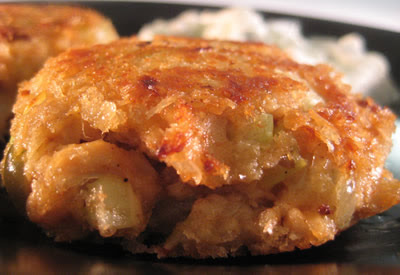 Enter fish cakes. This version uses canned salmon, which is very inexpensive. 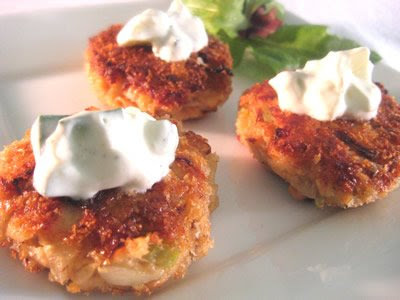 These are topped with tzatziki, a riff on the traditional tartar sauce accompaniment. 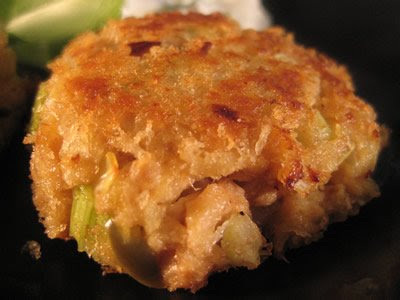 Tzatziki has a similar smooth creamy mouth feel punctuated with crisp bursts of green, and also contrasts nicely with the texture of the fish cake, but is a lighter and more modern alternative. Crack open the salmon cans, and empty the salmon into a small colander to drain. (Warning: if you have a puppy, she will become most decidedly under foot at this point. The opened cans will be, ummm, fragrant. If you’re new to canned salmon, I promise the final result won’t smell like this! Of course your puppy thinks it smells just divine right now.) Flake the salmon in the colander, then transfer to a medium bowl. 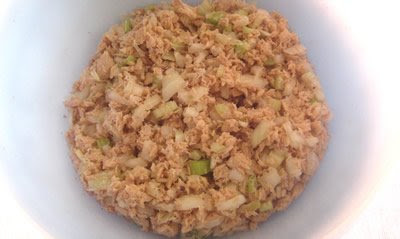 Combine chopped celery and onion with the salmon in the bowl. (If any small bits of salmon still cling to the colander at this point, put it on the floor for the puppy, who will now love you forever. Or at least until somebody else starts to look like he might take her outside to play.) Salt and pepper to taste, and fold together gently with a rubber spatula. In a small bowl, combine mayo, mustard, relish, lemon juice, Worcestershire, paprika, and hot sauce, and then gently fold into salmon mixture. Pour out about another ½ cup panko onto a plate. Transfer to fridge to chill for about an hour, and move on to making the tzatziki sauce. Remove chilled cakes from fridge. Heap 2 tbsps canola oil in non-stick skillet. Carefully transfer cakes to skillet. Be sure not to crowd them in the pan: give them some elbow room, this isn’t a subway car! Let them cook about 2 minutes, then carefully flip with an offset rubber spatula and continue cooking about another minute longer. 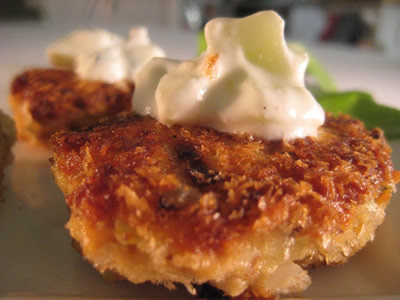 Transfer to paper-towel lined plate to drain, then serve immediately, garnished with the tzatziki. Seed and dice the cucumber finely, and mince the garlic. Combine all ingredients in bowl, and put in fridge to chill and allow flavors to blend until ready to serve. Any leftovers are delicious with pita bread, carrot sticks, or even tortilla chips. * We got boneless, skinless canned (Wild Alaskan but still inexpensive! High fives for the shopping coup!) at Trader Joe’s. If yours has skin and bones, pick out the skins. You can then either remove the bones or mash them into the salmon for extra calcium. I recommend the later option (the bones are soft cartiledge, and in these cakes you shouldn’t even be to tell that they’re in there) but if they skeeve you out, go ahead and dig them out. 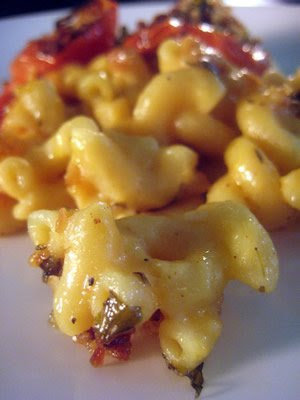 Macaroni and cheese is arguably both the ultimate comfort food* and the ultimate budget food besides. You wouldn’t know it lately, however, as in recent years expensive “gourmet” versions have become trendy, chock full of eighteen kinds of expensive imported cheeses, loaded with pancetta, crimini mushrooms, and frizzled leeks, and even mounded with truffles. This recipe gets back to what I consider to be the basics. 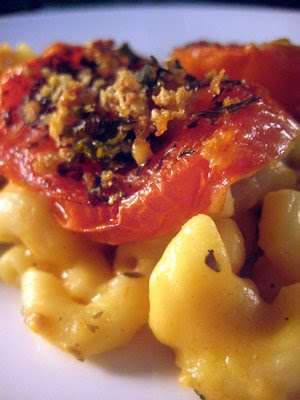 When I was a kid, my mother always put a few tomato slices on top of her macaroni and cheese, which otherwise came straight out of the red-checkered Better Homes & Gardens cookbook. We always elbowed and jockeyed for the tomatoes, inspiring one memorable meal-time squabble that you already know the gist of if you've ever seen the “That caviar is a GARNISH!” scene in “You’ve Got Mail!” Are these tomatoes are good as caviar? You be the judge! This version dramatically ups the quantity of tomatoes in my mother’s dish for two reasons: (1) increasing the fiber, vitamin, antioxidant, etc etc blah blah content of the dish and (2) decreasing fighting at the dinner table. This recipe also deviates from tradition in one notable aspect by subbing out some of the cheese for chicken stock. The result is easier on both your wallet and your arteries, but is still creamy, cheesy and deeeeeeeelicious. Preheat oven to 400 degrees. Slice tomatoes about ¼ inch thick. 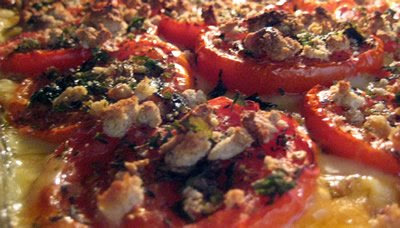 Spread tomatoes in a single layer on baking sheets. Drizzle with olive oil and sprinkle with 1 tsp. dried thyme, salt to taste and chopped fresh parsley. Grind black pepper over. Bake until tomatoes have softened, approx. 20 minutes. Remove, but do not turn off oven. In a pot of boiling salted water, cook pasta until just on the crunchy side of al dente, approx. 5 minutes (or per package directions). Drain in a colander, and run under cold water to stop cooking. In a medium bowl, whisk the flour into ½ cup chicken stock. 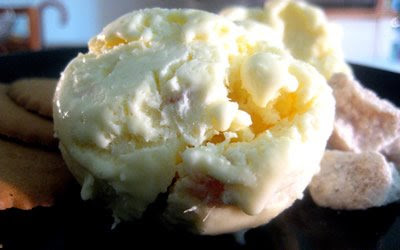 Melt 1 tablespoon butter in a large saucepan over medium heat. Stir in nutmeg, cayenne, 1/2 teaspoon dried thyme, and additional salt to taste. Pour in milk and remaining chicken stock. Whisk in flour mixture, and bring to a boil, whisking frequently. Once boiling, reduce heat to low and bring to a simmer. Continue cooking approx. 8 minutes, whisking frequently. Add cheese and cook, stirring with spoon, until cheese has melted. Turn off burner, pour macaroni into pot, and stir to combine. Line bottom of a 9 x 13 glass dish with a single layer of cooked, sliced tomatoes. Scoop up any loose juices on the sheets and pour those in the dish too. Pour macaroni mixture over. Top with another layer of tomatoes. If using, sprinkle breadcrumbs across top to your taste. Bake until bubbly*** and golden brown, approx. 30 minutes. Serve immediately. * And can’t we all use some comfort these days? The LBUH recently had what we thought was a good lead on a job. He met a cool woman at a networking event who was hiring, and seemed very impressed by him. She told him to call her on a certain day to set up a time for him to come in and meet some other people and discuss what kinds of things he could do for her company. He called her as requested and asked if she still had time to meet that week. The response? “Sure, I’ve got pretty much unlimited time to meet this week, because *I* just got laid off.” Just in case you’ve been living under a rock: its hard out there these days. And apparently even the uber-wealthy are asking for mac and cheese these days. ** This is also delicious with fresh thyme if you have some on hand. I'm finding this post hard to write as, in addition to the LBUH still being out of work, my own job just announced an across the board pay cut. We'll be tightening our belts even more around here. (Hmm, at what point does the tightened belt actually become more of a "corset" than a "belt"?) While the news about the economy may still be bad, the smell of this ratatouille in the oven is just amazing. Yeah, I know, but sometimes, it's the little things. 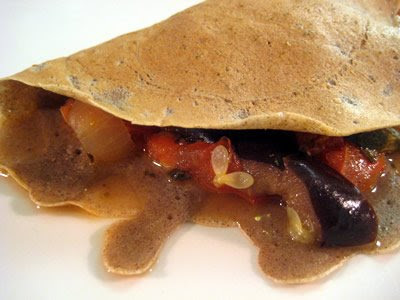 Served in buckwheat crepes, which are both traditional in French cooking as well as made from healthy buckwheat flour, this yummy vegetable dish is economical, good for you and chic. Whisk all ingredients together, until the batter is smooth. Place in the refrigerator to rest for at least 2 hours before making crepes. Then move on to making the ratatouille. Remove batter from fridge, and stir thoroughly. Heat a small non-stick skillet (or crepe pan, if you have one) on the stove. Use a small ladle or ¼ cup measuring cup to pour about 3-4 tablespoons batter into the pan. Pour the batter in a small circle, while swirling the pan to rapidly distribute the batter thinly. Its OK if you don't get this right the first time! Concern yourself more with making sure that the batter disperses in a thin, even layer on the pan than with making sure you get a perfectly round crepe. If it looks a little funky, that's just proof that its homemade. 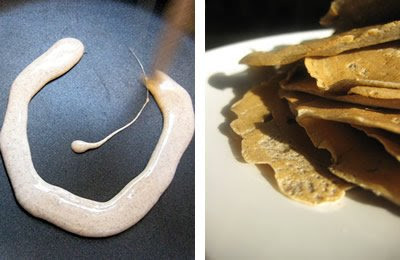 Crepes are far tastier when thin than when thick or, worse yet, of uneven thickness. You should get the hang of this after a few trial runs, I promise. You can also just shake the pan back and forth vigorously to even out the batter. After about a minute, start running a non-stick spatula around the rim of the crepe, sliding it under the center of the crepe once the edges are loosened. Flip the crepe over with the spatula, and continue cooking for a little less than another minute. Stack cooked crepes on a plate, and repeat with the remaining batter, giving it a quick stir with your ladle or measuring cup as you dip out each new crepe. If you won't be eating all the crepes at once (and this recipe makes a lot!! 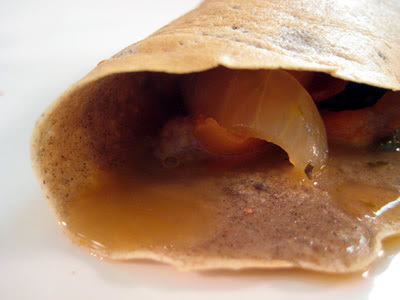 ), put cooked crepes in foil in the fridge. Rewarm in foil packet in 250-degree oven until warmed through. Serve crepes at the table with the ratoutille, allow each diner to make their own crepe. Place ratatouille in the center of each crepe, and either roll up like a burrito, or fold one lengthwise and then in half again horizontally. Or allow each diner to just wing it, which is always amusing! Prepare and refrigerate crepe batter first. Slice the onion, zucchini, and tomatoes into 1/3 inch slices. Halve the eggplant lengthwise, then cut into 1/3 inch slices. Seed and core the peppers, then cut into ½ in wide strips. Dice the garlic and chop the parsley, and place in small bowl. Add salt, pepper, thyme, rosemary. Add approx. 3 tbsps olive oil, and stir to combine. Lay down eggplant in a single layer at bottom or burner-proof casserole. Using fingertips, pick up a small clump of herb mixture. Use herbs to spread olive oil across surface of vegetables, scattering herbs evenly across as you go. Repeat with layers of remaining vegetables, topping each with herb mixture. Arrange top of vegetables in decorative pattern. Cover casserole with lid, and bake in oven for approximately one hour. Depending on how much water your vegetables give off, your ratatouille may be overly liquidy at this point, or may be done. Vegetables should be tender and cooked through. If the fluid at the bottom of the dish covers more than about a third of the bottom of the dish, transfer to stove and continue cooking uncovered, for approx. half an hour, or until liquid reduces to be slightly thickened and covers only about the bottom third of the vegetable layers. Transfer dish to table and allow diners to serve themselves. 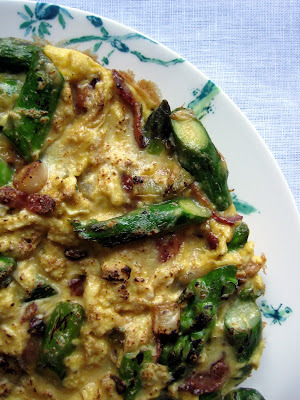 I always crave asparagus at this time of year, when it starts to enter its peak season as Spring just finally emerges. 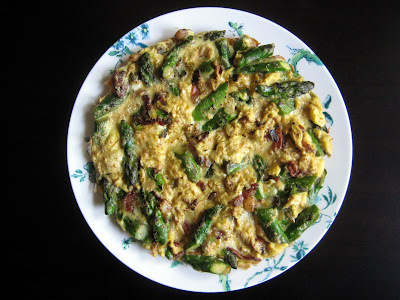 Asparagus, bacon and swiss is a classic combination, and eggs of course are a great cheap source of protein. If you feel like splurging a little, this dish is delicious with gruyere. Great dish for either brunch or a quick, light dinner with a salad. If you’re serving this to guests, you can prepare slightly ahead and leave it in a 200 degree oven to stay warm. Snap off the white-ish woody roots of the asparagus, then slice into 1/3 inch pieces. 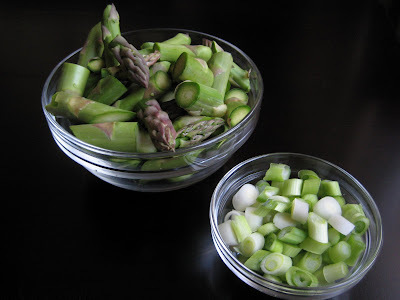 Thinly slice scallions, the white and light to medium green parts only. ** Slice bacon into ¼ inch think slices. Crack eggs into a bowl, and whisk together with grated cheese, several dashes salt, and a few grinds of black pepper. Saute bacon in a skillet over medium high heat, until golden brown, approx. 3 minutes. Add scallions and sauté briefly, approx. 1 minute. Add asparagus and continue cooking until warmed and slightly browned but still crisp. Spread the mixture evenly in the skillet, reduce heat to low, and pour egg mixture over. As eggs cook, run a spatula around the sides of the pan to allow the uncooked eggs to flow down the sides. Continue until most of the egg mixture has cooked. Set the top either by putting under the broiler, approx 1 minute, or with a crème brulee torch. * Thanks for all the good wishes for Blondie; she appreciates them! I am happy to report that she is staying strong, making progress in negotiating a severance package, keeping hope alive, and busily planning her "The Emancipation of Blondie" potluck blowout. **For tips on storing bacon, see this post. *** Many scallion recipes say to only use the white parts, and want you to toss the rest. While its true that the very dark parts near the tips are very fibrous and not particularly tasty, we’ve been using up through the medium green parts these days. Its all edible, and tossing produce just seems wasteful. "Recessionipes Entertains: It’s a Pity Party! (Part 2)"
Happy National Coffee Cake Day! 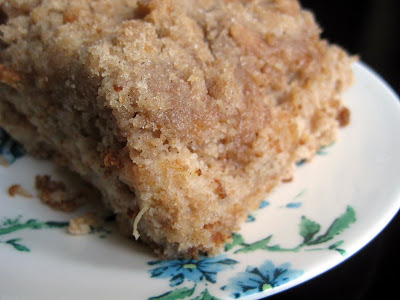 Blondie’s report on the coffee cake: "I was thrilled to be invited to your blogger’s home for brunch this past Sunday, and because my mother raised me right, I wanted to bring something. Those of you who bake know that a homemade sweet treat is always welcome, and if, like me, your employment looks iffy, you want to keep the meal invitations coming! So in keeping with the Rec(ession)ipes theme, I made this Apple Streusel Coffee Cake. I love this cake because it's quick, and can be made almost completely with staples already in your kitchen. I put the whole thing together while my laundry was in the dryer. It requires no special equipment beyond a knife to chop apples and a wooden spoon to mix the batter - you don't even need an electric mixer. In terms of ingredients, I indulged my farmers' market craving, and spent all of two dollars for two beautiful large Ida Reds ($1.80/lb). Everything else was already in the kitchen." Sift flour together with other dry ingredients. Beat the egg, then add the milk and melted shortening. Pour the wet ingredients into the dry then add the raw apples and mix well. Pour the batter into a well-greased 8-inch square pan. To make the streusel, stir together the dry ingredients, then cut in butter using a pastry blender**** until it forms pea-sized pieces with the dry ingredients. Finish combining with your fingertips until you have small clumps. Sprinkle topping over the batter. Bake for 25 to 30 minutes, or until a toothpick inserted comes out clean. *Confession: we went for slices. ** I don't have a sifter, and probably never will. A fine-mesh sieve works perfectly well. ***As far as staples go, this may be a bit of a cheat - I happened to have vegetable shortening in the house (confession: from the last time I made this cake), but if you don't, and you want to keep to staples, butter would probably work just as well. ****If you don't have a pastry blender, butter may be cut in using two butter knives in a criss crossing motion, or just work it in with your fingertips. If you like to make struesel toppings, or any kind of fruit crumbles, you may want to get a pastry blender - it cuts time in half, easily. Thanks for the great recipe Blondie! We’ll let you all know when “Desserts on the Dole: Baking & the Breadline” goes live! "Recessionipes Entertains: It's a Pity Party! (Part 1)"
A good friend of ours, let's call her Blondie, recently discovered that she too is soon to join the rising number of unemployed workers with fancy professional degrees and the student loans to prove it. We told her to come on over for some commiserating, gallows humor and, of course, emotional eating. I think most of us have noticed that it's a lot cheaper to go out for brunch than it is to go out for dinner: the same rule applies if you're having people over to your home. 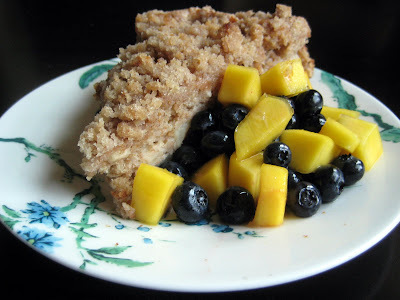 Blondie, who is an excellent baker, whipped up some coffee cake and we provided a frittata and this fruit salad (Blondie's Apple Coffee Cake was moist, wallet-friendly and delicious, and we're hoping that with a little bit of peer pressure we can coax her into sharing the recipe!). 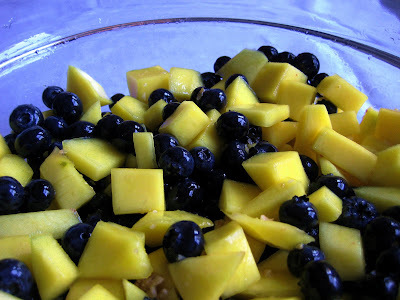 I've been making this fruit salad for years, because the flavor combination is so refreshing, and much more interesting than you usually get in a traditional fruit salad. Seasonwise, we jumped the gun a bit on this one: later on in the spring it will be both cheaper and more flavorful. Zest one of the limes using a peeler, and remove any white pith from the strips of the peel with a knife. Combine zest, water and sugar in a small saucepan and bring to a boil. Stir until all sugar is dissolved, then boil, uncovered approx. 3 minutes. Let stand for 20 minutes, then remove and discard the zest. Wet and gray spring days make me crave a bowl of steaming stew. 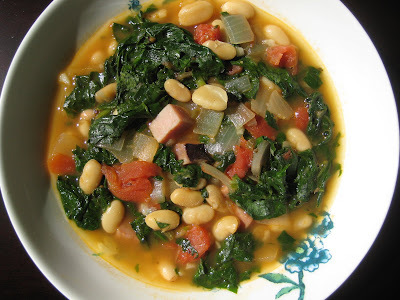 The result of this recipe is a golden broth overflowing with fresh spinach, ham and cannellini beans. 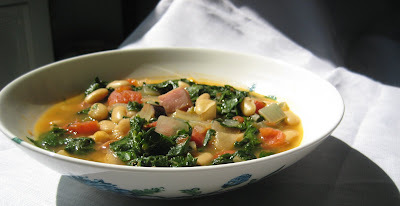 I found a variation of this stew two years ago in a winter issue of Gourmet and it has since become a staple in our apartment on cold days when we don’t have a lot of time for cooking. Top this with slices of baguette broiled with olive oil and a little parmesan cheese. The toasts absorb the garlicky, tomatoey broth. Warming and satisfying on a chilly, rainy day. In a large pot, sauté the chopped garlic and onion in 1/2 tablespoons of olive oil over moderately high heat until the onions turn golden (approx. 3-5 minutes). Add the can of cut stewed tomatoes and juice to pot and stir. When the juice starts to simmer, add the beans, ham and black pepper. Add the chicken broth, stir and bring to a boil. When the broth starts to boil, reduce the heat until it settles at a simmer. 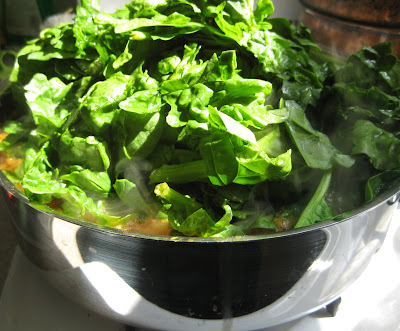 When the soup is simmering, pile the spinach on top of the pot to steam the spinach. As the spinach starts to wilt, stir it into the soup and turn off the heat. Serve immediately, garnished with toasts. While stew is simmering, preheat broiler or set your toaster over to broil. Put bread on a baking sheet or toaster over tray covered with foil, and lightly brush each side with 1/2 tablespoon oil total. Broil until light gold, approx 1 minute. 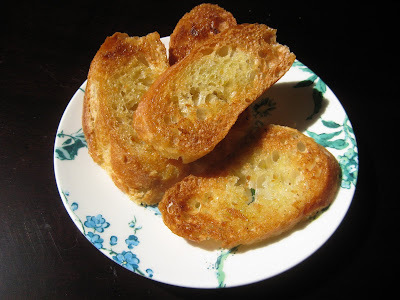 Flip toast, sprinkle with parmesan cheese to taste, and broil again for approx 1 minute longer. * We’re not big fans of high fructose corn syrup around here, so the LBUH always checks the fine print (you know, the ingredients) to make sure they’re not slipping any into our stewed tomatoes. You can cut stewed tomatoes right in the can using clean kitchen shears or a knife. 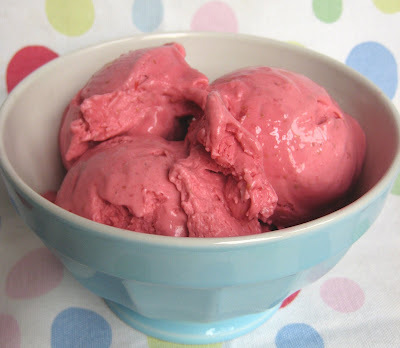 You might not think of making your own frozen yogurt as a particularly thrifty habit, particularly not one made from raspberries. If you happen to already own an ice cream maker, however, the cost per scoop is relatively low, and once you taste the results I bet you’ll think that its worth every penny. 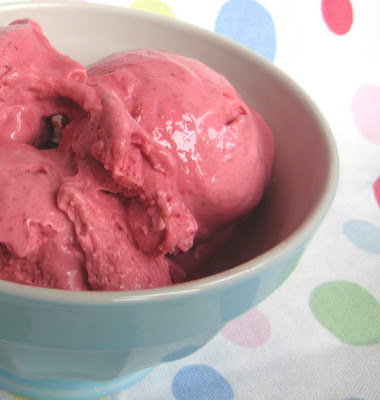 This yogurt is creamy, tart, not overly sweet but zingy and full of bright, vibrant raspberry flavor (And raspberry is one of those ice cream/fro yo flavors that you just can’t get at the grocery store. Black raspberry, which you can sometimes find, is a different fruit altogether). In a blender, puree all ingredients. (If you dislike raspberry seeds, you can push the results through a strainer to remove. I say, why bother?) Chill for 1 hour, then freeze in ice cream maker according to manufacturer’s directions. * Wow, I’m really waxing rhapsodic here, huh?